Ho! Ho! Ho! 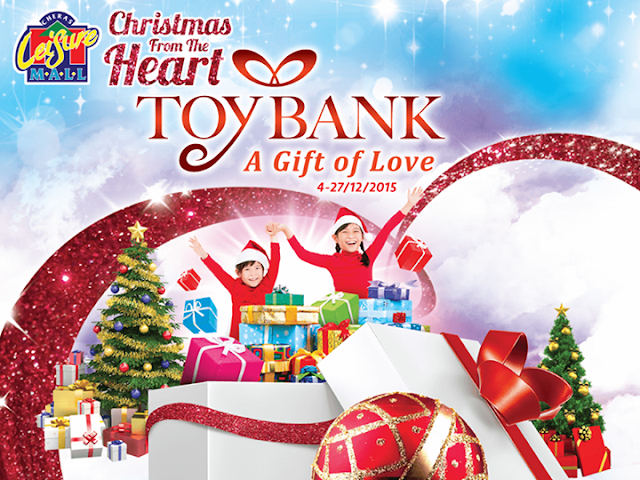 special and meaningful to celebrate Christmas From The Heart at the same participate the annual “Toy Bank – A Gift of Love” at Cheras Leisure Mall from now till the 27th December 2015. This annual charity campaign allows us to bring smiles to underprivileged children’s faces by fulfilling their wishes. As we celebrate the season of joy in giving, let us also take some time to remember the children that are less fortunate. Let us find it in our hearts to give them a ray of sunshine, so that they too, will shine bright in the future. “There can be no keener revelation of a society’s soul than the way in which it treats its children,” said the late President Nelson Mandela at the launch of the Nelson Mandela Children’s Fund. Indeed children are every society’s treasures and our best hope for the future. Therefore with open hearts, we should love and care for them, as well as provide for them with our best. This Christmas, Cheras Leisure Mall is transformed into a glimmering wonderland at the same time maintained it humbleness to spread the joy with the less fortune children through “Toy Bank – A Gift of Love” annual campaign. To be part of this meaningful cause, you can first pick a card from the wishing tree, select a toy or gift from child’s wish list and then deposit the gift together with the wish card at the Toy Bank located at Cheras Leisure Mall Ground Floor Concourse. Alternatively, you can donate household items such as rice, cooking oil, toiletries, canned food, detergent and school books to the homes. The children from the respective orphanages and charity organizations will be at Cheras Leisure Mall on 29th December 2015 to receive the gifts after a fun-filled day at the mall. The recipients for this year include children from Shepherd's Centre Foundation, Trinity Community Children’s Home, Persatuan Kebajikan Warga Tua Dan Kanak-Kanak WP, Pusat Jagaan Beribuan Kasih, Kajang, Bodhi Homecare Cheras, San Pedro Orphanage Home, Rumah Sayangan, Rumah Kanak Kanak Angels, Persatuan Kebajikan Kanak-Kanak Cornerstone, Yayasan Sunbeams Home, Rainbow Home, Rumah Bakti Nur Syaheera and Pusat Majudiri Y for the Deaf. Christmas can be so much more than a festive holiday. Together, let’s make Christmas a heartwarming season that encompasses great love and joy. Participate in “Toy Bank – A Gift of Love” and brings happiness to less fortune children. Location: Cheras Leisure Mall, 8, Jalan Manis 2, Taman Segar, 56100 Cheras, Wilayah Persekutuan Kuala Lumpur, Malaysia. 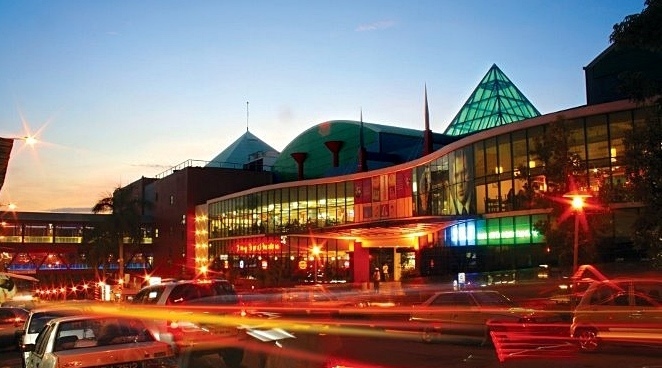 maybe I will visiting that mall when I'm visiting KL. Is that far from twin tower? The Christmas decoration is lovely. Merry Christmas in advance. The 2 white color statue look like dogs with antlers. LOL. Love this event...this Christmas is gonna be meaningful! Since leisure mall not very far from my house! ok la! Time to do something meaningful! Good to hear them have a great cause on such event. Times to give. Willl bring my Little Angels to Cheras LeisureMall this weekend to choose a card each. I do love what they are doing for the less fortunate kids in this season of giving. I hope they kids will get what they wish for! Merry Christmas!!! Spread the love. lovely! i'll bring my kids there too if i could. Unfortunately they'll be back in penang end of this year.. The deco looks really nice and very Christmas feel there too! Hope that I have chance to participate this meaningful event too! a meaningful event by Cheras Leisure Mall!! Nice heartwarming festival in Cheras Leisure Mall. Pusat Majudiri Y for the Deaf get many Deaf kids come from the poor background. Just wish them to make them happy ya. :) I also joined hte Pusat Majudiri Y for the Deaf to help the Deaf people because I am Deaf.